Cultivating Communications meets clients’ needs, whether it’s a single article or blog post or a complete communications services package with website content, media release and distribution, annual report, newsletters, and more. 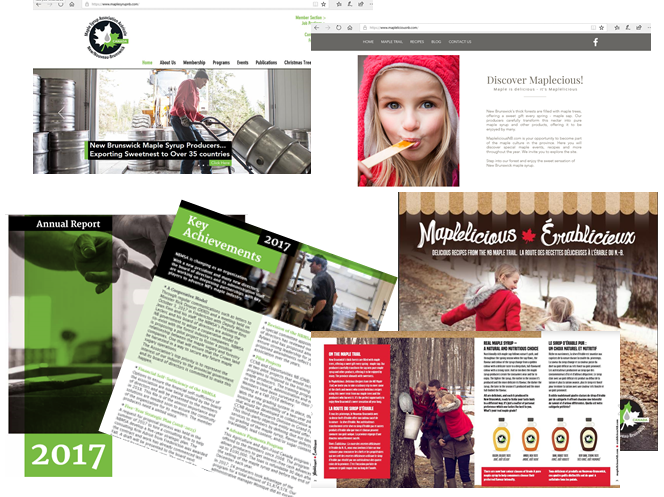 Cultivating Communications has written and edited a variety of content for the New Brunswick Maple Syrup Association (NBMSA), including website content for its producer-focused website and its consumer-focused website; its 2017 annual report; and the recipe book Maplelicious: Delicious Recipes from the NB Maple Trail. 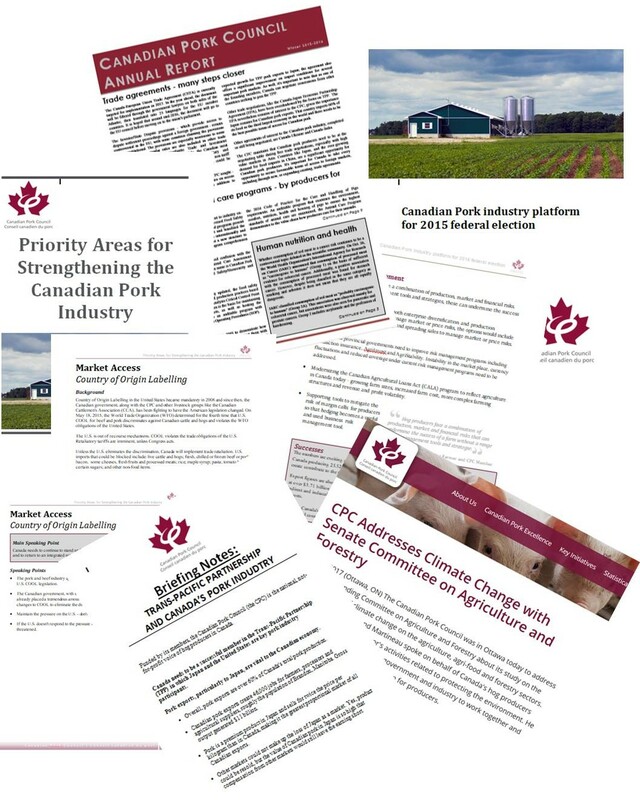 Cultivating Communications provided the Canadian Pork Council with writing and editing services for a variety of its communications products, including media releases; speeches; PowerPoint content and design; and government advocacy documents. It also did content creation and layout and design for member newsletters and the CPC annual report. The Canadian Seed Trade Association hired Cultivating Communications when it needed experienced agricultural writers to research and create “100 Facts on 50 Crop Kinds” fact sheets for its Better Seed, Better Life campaign. Cultivating Communications researched and wrote facts for eight fact sheets as well as tweets with a seed sector focus for the CSTA to use as part of its social media dialogue. 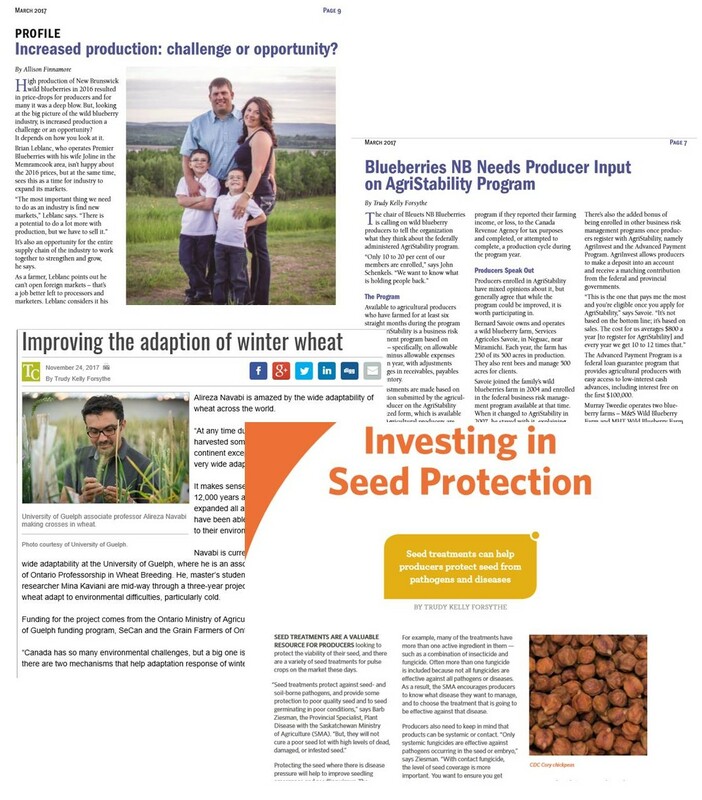 Cultivating Communications writes articles for a number of agricultural publications, including New Brunswick’s provincial wild blueberry growers association, Bleuets NB Blueberries’ newsletter; the Saskatchewan Pulse Growers industry magazine PulsePoint and trade publications like Top Crop Manager, GrainsWest and Country Life in BC. 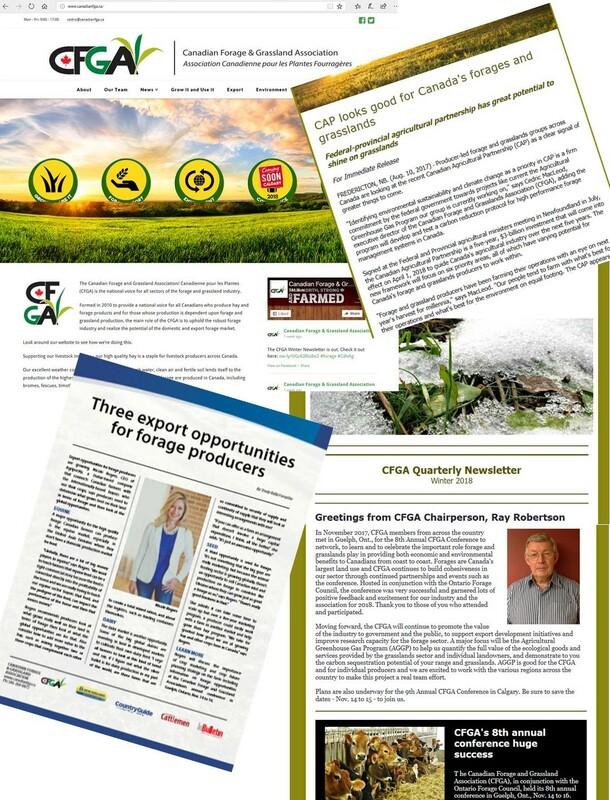 Cultivating Communications provides year-round communications services for the Canadian Forage and Grassland Association (CFGA) including development of a communications strategy; writing and distributing media releases; content creation, layout and design, and distribution of quarterly newsletters; website evaluation and writing new content for CFGA website; social media; and media relations for the CFGA annual national conference. Cultivating Communications provides year-round communications services for the New Brunswick Cattle Producers (NBCP), including content creation and layout and design of bi-annual newsletters; social media; writing and distribution of media releases; and writing articles for trade publications. Also, Cultivating Communications creates content for promotional materials, such as NBCP sell sheet, on an as needed basis. In 2017, it developed and delivered training to NBCP board of directors on communication, key messaging and engaging members; the session ended in creation of a new mission statement for the NBCP. The Maritime Beef Conference is presented annually in partnership by the Maritime Beef Council, NBCP, Nova Scotia Cattle Producers and Prince Edward Island Cattle Producers. Since 2016, Cultivating Communications provides public relations services for the conference, including writing and distributing media releases; social media; attendance at conference for photography, social media and content purposes; and writing articles for agricultural publications post event. In 2018, Cultivating Communications provided media relations including media releases, social media and radio advertising to successfully sell over 400 tickets to a special event, An Evening with Dr. Temple Grandin. Cultivating Communications developed and implemented a year-round social media campaign using Twitter and Facebook for the Canadian Forage and Grassland Association (CFGA) to communicate with individuals, organizations and businesses in the forage sector including intense coverage of the CFGA’s 2016 and 2017 annual conferences. This campaign is ongoing. Check it out at the CFGA Twitter feed and Facebook page. Cultivating Communications curated, wrote and published Twitter and Facebook posts to promote the beef sector in Canada’s Maritime beef sector. This included providing regular content for the New Brunswick Cattle Producers (NBCP) Twitter and Facebook accounts as well as developing and implementing social media campaigns for the 2017 and 2018 Maritime Beef Conference. 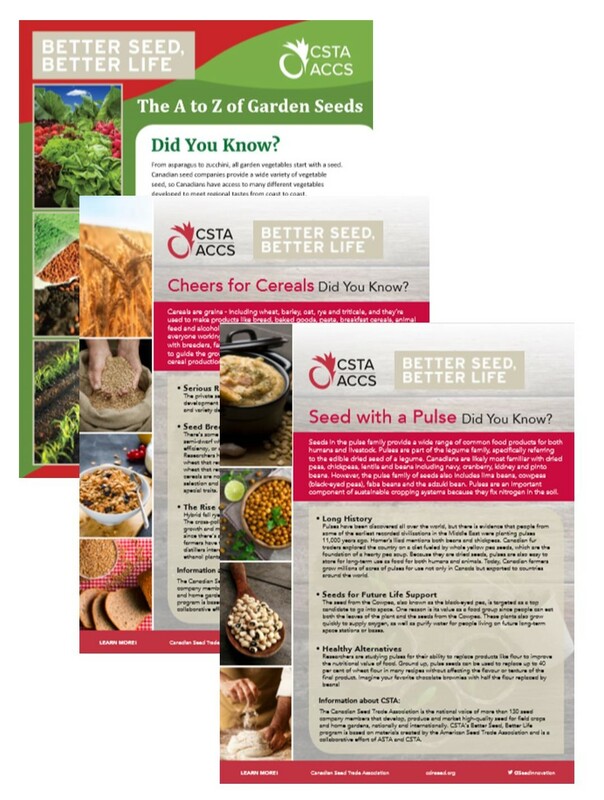 The Canadian Seed Trade Association hired Cultivating Communications when it needed experienced agricultural writers to research and create “100 Facts on 50 Crop Kinds” fact sheets for its Better Seed, Better Life campaign. Cultivating Communications wrote tweets with a seed sector focus for eight fact sheets to be used by the CSTA to use as part of its social media dialogue. 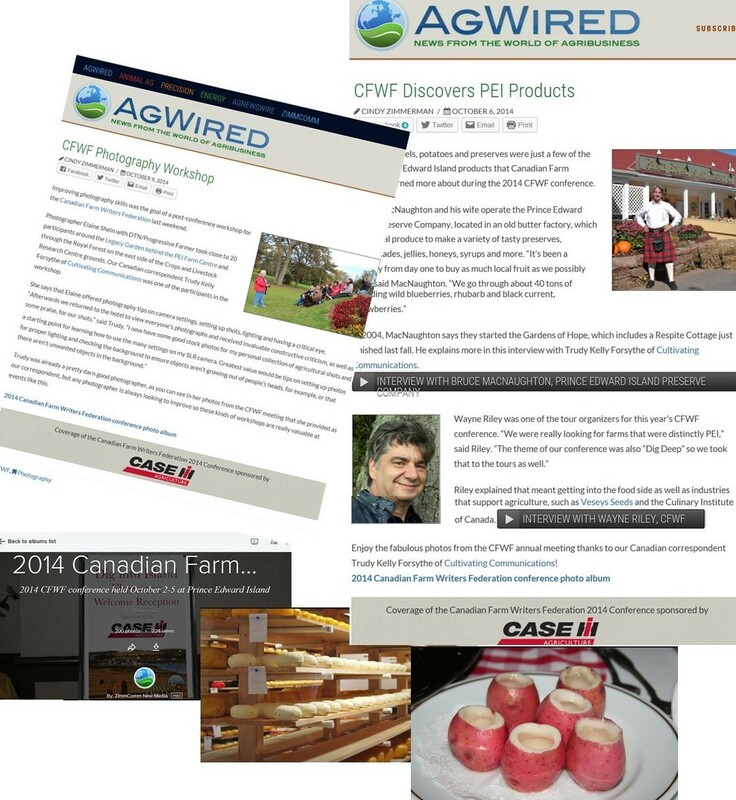 AgWired hired Cultivating Communications to do photography and create webcasts to cover the 2014 Canadian Farm Writers Conference for its event blogging site. Cultivating Communications photography has been published in a variety of print and online publications. Cultivating Communications provides clients with ghost writing services including blog posts and articles for industry newsletters and trade publications. Due to the confidentiality of this type of work, references are available upon request.